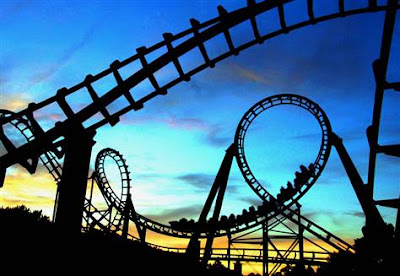 The roller coaster is a popular amusement ride developed for amusement parks and modern theme parks. 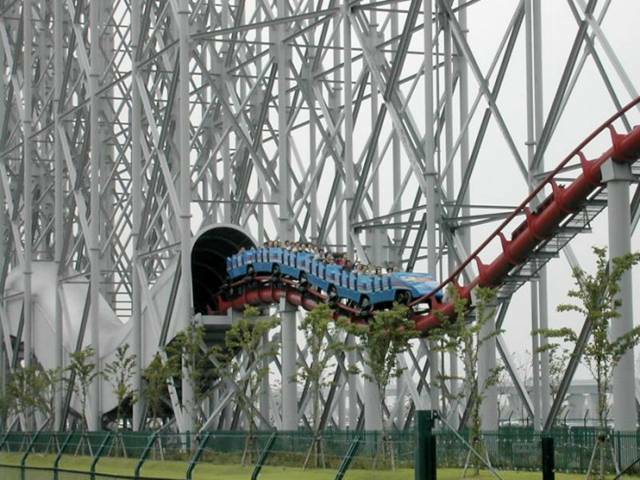 Everyone would love to take a ride in the roller coaster. But there are some people who are scared too. Roller coasters are also known for it's speed, so we bring you a collection of some of the top speed roller coasters in the world. 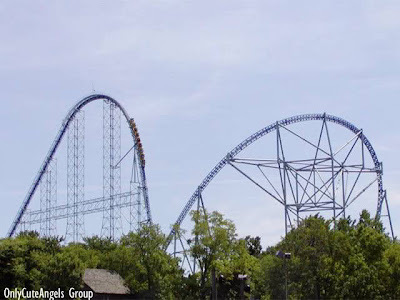 In 2001, the Phantom's Revenge was built to replace the Steel Phantom, which had consistently been ranked in the top five roller coasters in the world. It includes a 228 foot drop, subterranean tunnel, and reaches a maximum speed of 82 miles per hour. For the sake of tradition, some of the features of the Steel Phantom were retained, including the steel track. 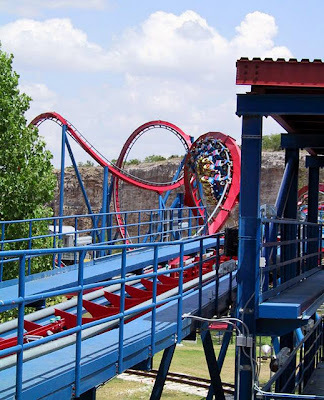 Replacing the loops and corkscrew, it now offers an array of hills and drops. With more than 1400 roller coasters in the world how do you know which ones to pack into your summer? 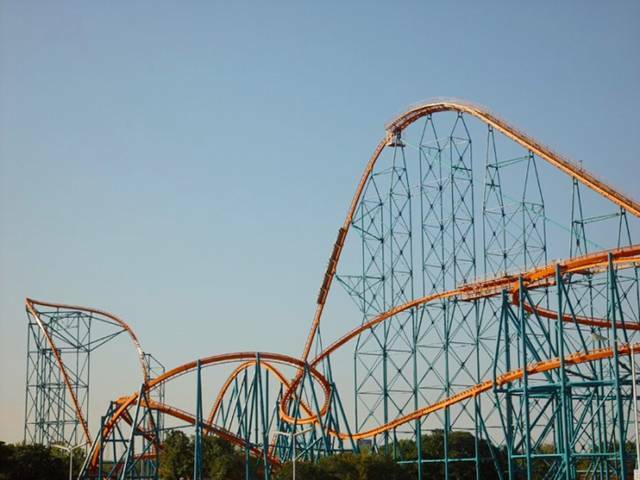 If you are crazy about speed then here are ten of the fastest rollers coasters in the world. The interesting fact about this list is that USA holds seven places in ten. he Titan was built by the same Swiss designers that built the Goliath but includes extra twists. It has 5,280 feet of track, allowing for more drops, loops, and corkscrews. 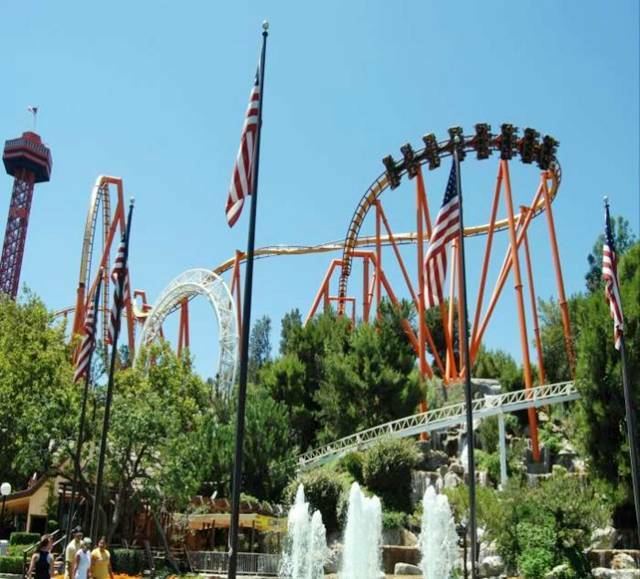 After dropping from the 255 foot hill, you are plunged in to a dark tunnel at the speed of 85 miles per hour. Titan includes a spiral that creates forces of up to 4.5gs. 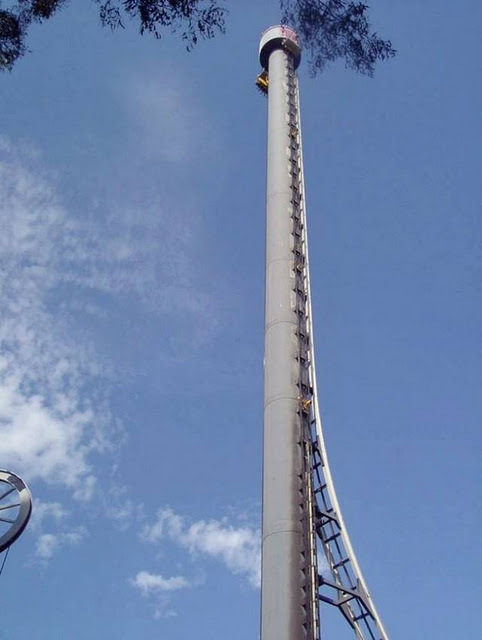 Steel Dragon 2000 is the tallest coaster to utilize a traditional chain lift. Because of the length of the lift hill, two chains are used one for the bottom half and one for the top half. A single chain would have been excessively long and heavy, at least twice the weight of one of the trains. As a result, two trains can safely occupy the lift simultaneously. 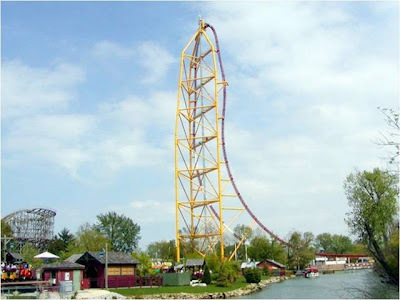 It debuted only months after Millennium Force and surpassed the Cedar Point coaster as the world's tallest complete-circuit coaster. It also set a record for longest track length 8133 feet, 2 inches (2479 m). Tower Of Terror is a steel reverse freefall coaster. The six ton passenger vehicle, is electro-magnetically powered, accelerating its passengers rapidly to 160.9 km/h (100 mph) in seven seconds. The track then turns skyward, with the passengers pulling 4.5 G's. The car climbs to almost 38 stories high. Following the climb, there is a 6.5 second free-fall before the 90 degree turn is executed in reverse. The vehicle then hurtles into the station where it comes to a rapid stop. 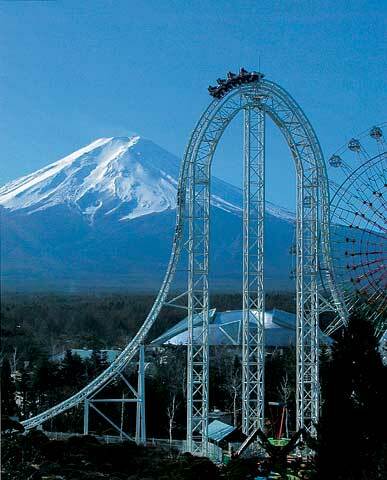 Dodonpa opened in 2001 and is a steel sit-down roller coaster with a compressed air launch. 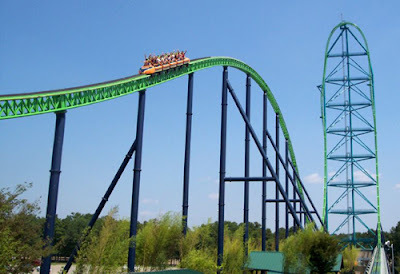 It is 52 metres (170 feet) tall, and has a launch speed of 172 km/h (107 mph), which is reached in less than 2 seconds. 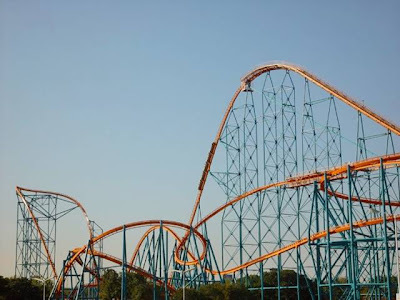 The launch is followed by a huge, sweeping, overbanked curve, giving riders a chance to catch their breath back, before they hit the 170 foot top hat; an element with some extreme negative G forces. The name `Dodonpa' comes from the musical sound which is played to customers waiting to board it. Top Thrill Dragster was the first "Strata Coaster," loosely defined as a complete circuit coaster that is 400 to 499 feet tall. It was the last one to use lapbars instead of over-the-shoulder restraints due to mechanical problems. Shortly after reaching its maximum velocity in less than four seconds, the train begins its ascent up a 90-degree incline that has a 90-degree counter-clockwise twist that takes the train straight over the top of the 420 foot hill, where riders will experience significant airtime (zero g-forces). On the way down the other side, there is a 270-degree clockwise twist that leads into the magnetic braking section that brings the train to a swift but comfortable stop.